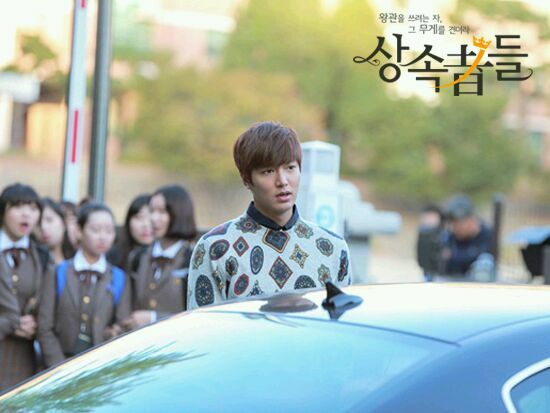 Park Shin Hye and Lee Min Ho reunited in front of the school gate of a girls' middle school in Mapu, Seoul. 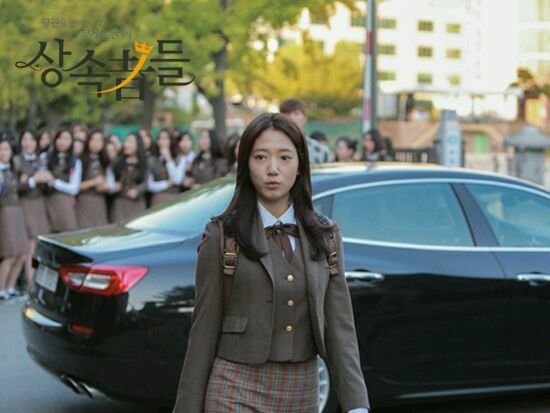 On October 22nd, SBS drama The Inheritors released new official stills of characters Kim Tan (starring Lee Min Ho) and Cha Eun-Sang (starring Park Shin Hye) in a staring contest in front of Eun-Sang's school. 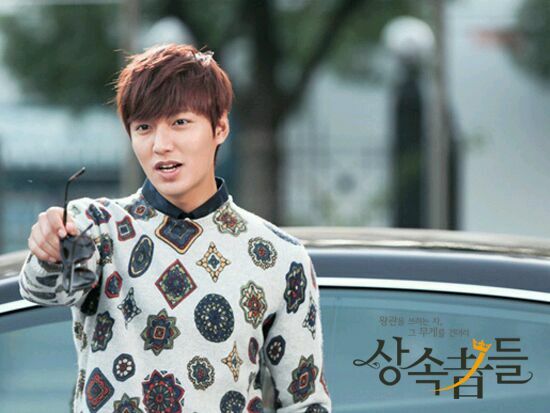 The duo, who has not seen each other since Eun-Sang left LA for Seoul, are finally reunited, under much anticipation from fans and dramaviewers alike. 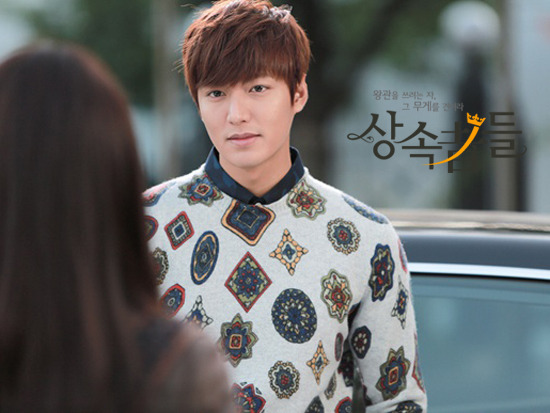 The story development is as follows: After Kim Tan discovers that Eun-Sang is the daughter of his domestic helper and that she lives in his house, he is determined to give her a surprise - by waiting for her at the front gate of her school. 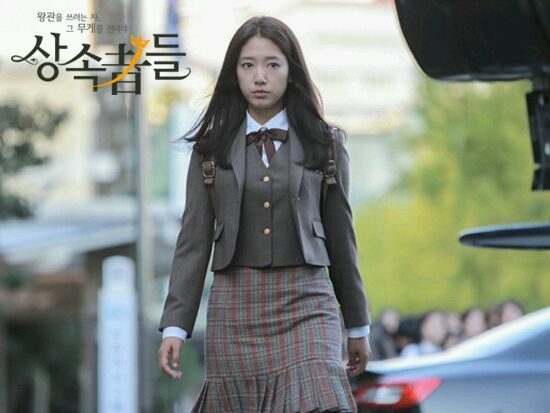 Though it is obvious that Eun-Sang's reaction is not what Tan has expected, the reunification of the two characters signals that a teen love story is in the blooming. 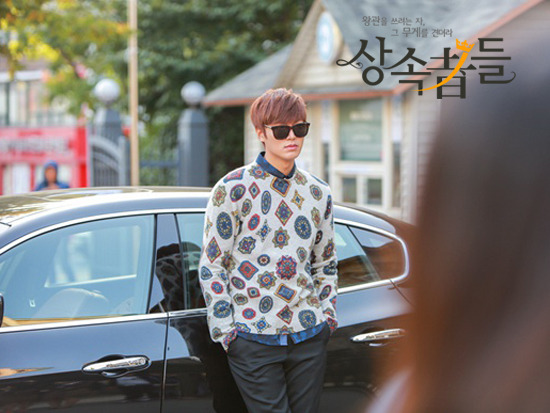 The storyline will continue to unfold in Episode 5 of The Inheritors, which is set to broadcast on October 24 2013 (Wednesday) at 22:00 KST. Stay tuned!